The artists whose work is on show are not from Lucca, but were all born during or after the last quarter of the 19th century. This exhibition illustrates their activity until the 1960s. Paintings by maestros such as Plinio Nomellini, Lorenzo Viani, Galileo Chini, Moses Levy, Arturo Dazzi and Alceste Campriani, portraying views of the city and the land all the way to the coast, are followed by those of artists who either settled here or taught in local at schools and were often inspired by the beauty of the places familiar to them, respecting the teachings of the maestros. The “pictorial journey”, the main nucleus of which will be on show at the palace owned by the Banca del Monte di Lucca Foundation, will be introduced by collections owned by national museums in Lucca, which, with an itinerary following the works of art on show, will provide a sort of introduction to the subject of landscapes, starting with the Renaissance at the Villa Guinigi National Museum, to then experience 19th and 20th century style in the National Museum’s collection at Palazzo Mansi. 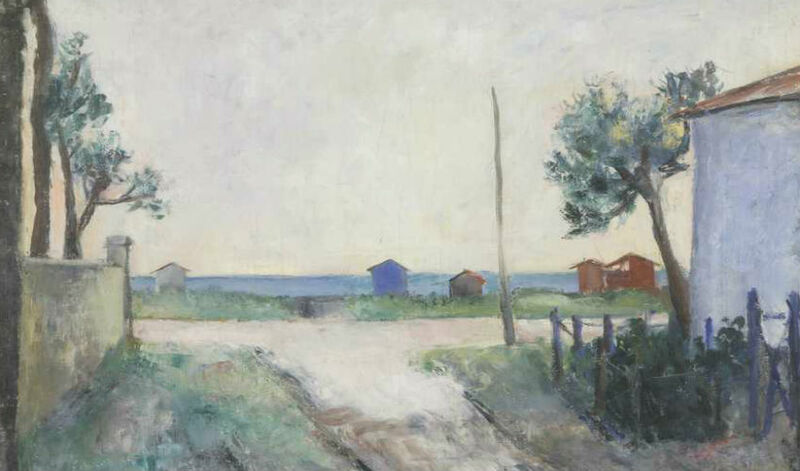 The exhibition will also include a series of conferences with in-depth analysis on the subject of “the sentiment of landscapes” in the 20th century, addressed from various perspectives, such as painting, photography, architecture and literature. Music will also have its place in this scenario, not only because the lands portrayed are those of the maestro Giacomo Puccini, but also thanks to a reinterpretation by young composers led by the maestro Francesco Cipriano who will create an innovative sound track for the exhibition.